The weekend is just around the corner and once the clock strikes at 6PM on the dot, we’ll be rushing out of the office and head towards home as soon as possible. Yet, when we plop ourselves on our cozy bed, we always wonder that to do during the weekends? Obviously not wanting to go in to the hustle and bustle of cities, but ding an activity that revolves around in a much more serene environment. By so, one the best and self rewarding option will be gardening. Gardening can be a peaceful and meditative experience. Not only we’ll be beautifying our garden, but also gives us a sense of accomplishment. It doesn’t have to be be extravagant. 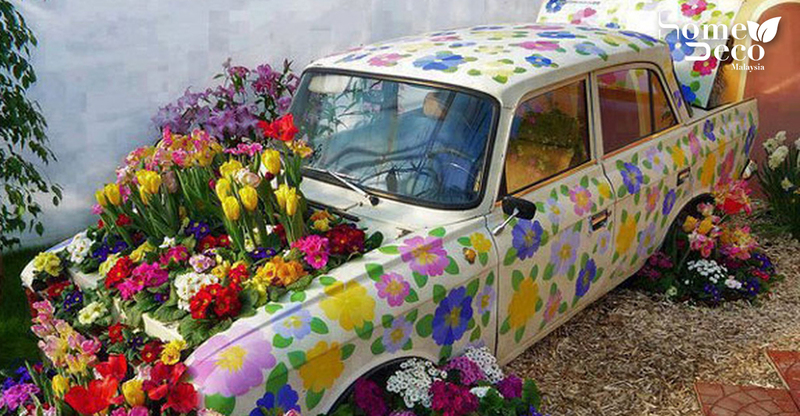 It can be as simple as using an old car rims as a flower display. Yes it’s true! All we need to do is search for those old items that it’s laying around our home and make it something decorative for our beautiful garden of eden. Another fantastic item that can be use as a amazing “accessories” for the garden will be our old bicycles. Hang a few flowerpots, add-in some plant creepers and you get a gorgeous display. Don’t want to go for a common approach? Well we can always quirk thing up. All those beer bottles, or wine bottles, can “elevate” the decorations in our garden to be funny and unique. As mentioned earlier, we don’t have to over do the decorations in our garden. Sometimes being a minimalist in the garden can perk things up. 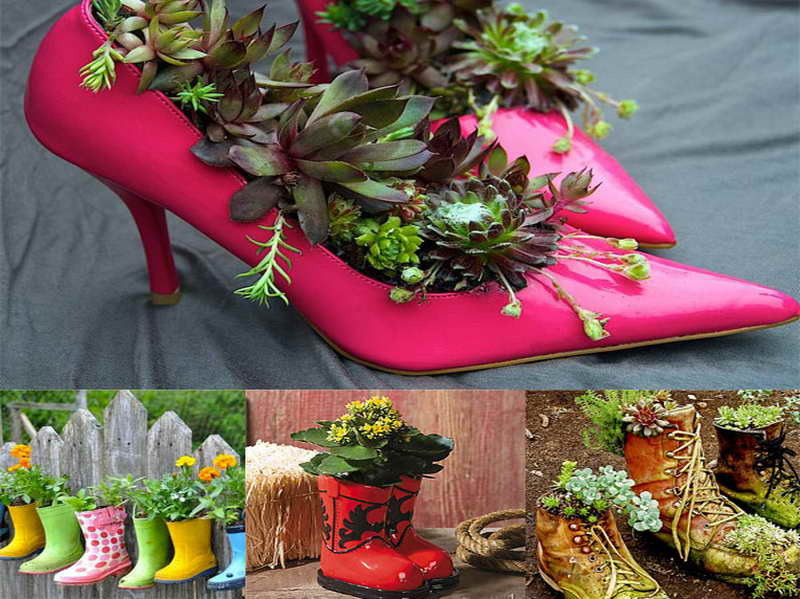 Those bunch of shoes that we buy, store and never wear them can be just the right simple touch for the garden. Maybe we don’t want to decorate the whole garden but just a few important spots like our porch. Rather than hanging a plain and simple bamboo curtains, decorate your very own flower-bottle-curtains. It’s both attractive and special. Being in your garden and decorating it, feels like you’re in a beautiful country side and breathing in the fresh air of the greenery landscape. Plus, the ever feeling of fulfilment in furnishing your garden. A plain garden into a garden wonderland.